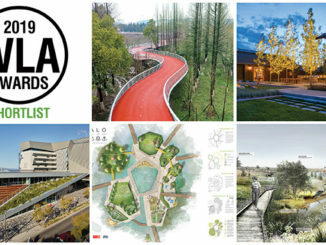 We have always had a jury that is from the landscape architecture industry and has includes Principals, Directors, Landscape Architects, Professors, Lecturers, and other diverse backgrounds and the 2019 jury is no exception and WLA is honored to have six experienced jurors who were selected from 15 nominations to judge the 2019 WLA Awards. An architect and cartographer and has a PhD in Landscape Architecture gained at the Alghero School of Architecture, University of Sassari (2011). She obtained the first degree in Architecture at the Florence School of Architecture (1999). Since 2004 she has coordinated several international operative workshops, experimenting shared practices in urban interventions through the art medium as a vehicle for the redevelopment of open spaces, with the collaboration of local artists, communities and cultural foundations, as Museo Nivola, Orani (2004) and Fondazione Stazione dell’arte, Ulassai (2006). During last years she collaborated with different Universities, Foundations and Cultural Institutions, such as the Cornell University in Rome (2009), the Master in Landscape Architecture of Barcelona at ETSAB_UPC (2010), the Bauhaus Dessau Foundation (2011), the RMIT University, School of Architecture and Design, Melbourne (from 2013), the ENSP, Ecole nationale supérieure du Paysage, Versailles (2013-14-15-16), the Universidad Marista, Merida (2016), the Chinese Universities of SCUA, SCUT, GAFA in Guangzhou and PKU, Beijing (2017), the UHM, University of Hawaii at Manoa (2017), Tonji and Jiao Tong University in Shanghai (2018), TURENSCAPE Academy (from 2018). She is Co-Founder and Scientific Coordinator of LWCircus, the Italian – Mexican Operative Shared Program born in the 2016 and focused on experimental modalities in searching new strategies for sustainable urban and rural development on sensitive natural areas and the revitalization of cultural landscapes inside the Mediterranean and the developing Countries. Founding Director of Stoss Landscape Urbanism, and both Professor in Practice of Landscape Architecture and Co-Director of the Master of Landscape Architecture in Urban Design Program at the Harvard University Graduate School of Design. He is recognized internationally as a leading voice in the transformation of landscapes and cities, and he works alternately as a researcher, strategist, teacher, designer, and advisor. Reed is particularly interested in the relationships between ecology and landscape and infrastructure, social spaces, and cities. 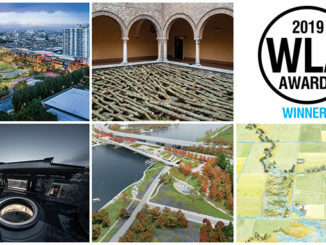 His work collectively includes urban revitalization initiatives, climate resilience and adaptation efforts, speculative propositions, adaptations of infrastructure and former industrial sites, dynamic and productive landscapes, vibrant public spaces that cultivate a diversity of social uses and cultural traditions, and numerous landscape installations. His work can be found in cities as diverse as Boston, Los Angeles, St. Louis, Dallas, Detroit, Galveston, Abu Dhabi, and Dongshan, China. Reed is the co-editor of Projective Ecologies with ecologist and planner Nina-Marie Lister, and author of the upcoming book WORK-LIFE with photographer Mike Belleme, a study on the lives and afterlives of urban landscapes.. He is a recipient of the 2012 Cooper-Hewitt National Design Award in Landscape Architecture, a Fellow of the American Society of Landscape Architects, and the 2017 Mercedes T. Bass Landscape Architect in Residence at the American Academy in Rome. Reed is a member of Van Alen Institute’s Climate Council, a platform for exchange among leading professionals to investigate and collaboratively address critical climate-related issues. Reed received a Master in Landscape Architecture from the University of Pennsylvania and an AB in Urban Studies from Harvard College. The founder and one of the two partners of Mandaworks – a progressive and contemporary design studio engaged in the fields of architecture, landscape architecture, urban design and comprehensive planning. The work of the Stockholm based studio is driven by a thorough research and analysis, rigorous experimentation and engaging narratives. Martin has over a decade of design experience in Swedish and international contexts, and has participated in several award winning projects. His project experience spans from large-scale master plans to public space design, and drives projects from conception to completion. Martin is a regularly invited teacher and lecturer at design schools in Europe, North America and China. From 2012 to 2016 Martin was leading the advanced design studio, Sustainable Urban Dynamics, within the master’s program of Sustainable Urban Design at the School of Architecture in Lund, Sweden. Michael is the Chair of Landscape Architecture, Civil Engineering, and Ecology and sits on the Board of Directors at Sasaki, a global design firm with offices in Boston and Shanghai. Leading much of the firm’s work in Asia, he offers unique insight into the unprecedented transformation and urbanization of the region. Michael is a fierce advocate for the vital role that landscape architects play in shaping contemporary cities. Informed by a rigorous inquiry of economic, ecological, and cultural influences, he believes that the role of the designer is to make cities more livable, equitable, resilient, and just. Michael’s distinguished career spans a variety of project types and scales including regional planning, new communities, urban districts, and waterfronts. He collaborates closely with clients to generate planning and design strategies that are inclusive of financial, cultural, and environmental perspectives. This integrated approach prioritizes creative solutions that balance development needs with ecological and social imperatives. Michael is a graduate of Cornell University with a degree in landscape architecture and a focus on planning and urban design. He is a member of the American Society of Landscape Architects, sits on the Placemaking Council of the Urban Land Institute, and serves on the board of the Landscape Architecture Foundation. His work has been recognized with numerous national and international awards, and he is a highly sought after speaker at conferences and universities around the world. 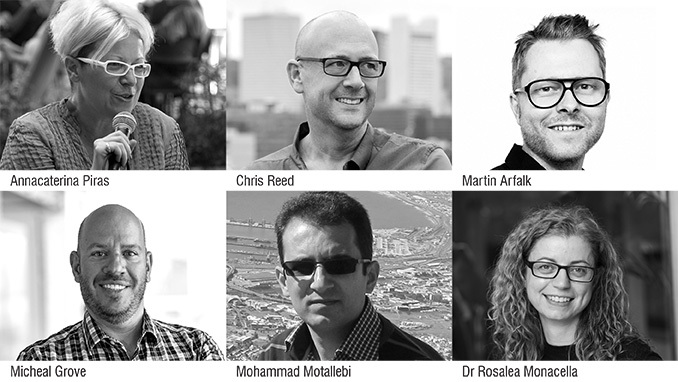 An Iranian environmental and landscape designer with 14 years of experience who is the IFLA Middle East President and also has extensive experience judging IFLA, SILA and other national landscape architecture associations. Mohammad Motallebi is an Iranian environmental and landscape designer with 14 years of experience. He earned his Bachelor of Landscape Engineering from University of Tabriz and Master of Environmental Design from University of Tehran. While obtaining his bachelor’s degree, he started his work with some design companies. Simultaneously, he also worked with a monthly Landscape Journal in IRAN. Ecological-responsible design and planning, landscape urbanism and planting design has been Mohammad’s core focus throughout his career. He has worked in different landscape projects around Iran. In 2005, he elected as Board Member of Iranian Society of Landscape Professionals (ISLAP). In 2012, after 7 years, he elected as ISLAP’s President and ISLAP’s official delegate in IFLA. He has had various activities at IFLA and is the co-founder of the Middle East region of IFLA. He is elected as President of IFLA-Middle East in 2016. In recent years, he invited to be member of Jury for six international, regional and national Awards lunched by IFLA (Global and Regional) and National Landscape Associations in Russia and Singapore. Rosalea is currently a member of Landscape Architecture faculty at the Graduate School of Design, Harvard University Cambridge USA. In her current role she has been charged with the redevelopment of key components of the core teaching curriculum in the areas of design and advanced representation. Rosalea holds a PhD from RMIT University, a Master’s in landscape Urbanism from the AA School London, UK, and a Bachelor of Architecture (honors) RMIT University. She is a registered Landscape Architect who has worked as an academic in the field of Landscape Architecture for the past 16 years. Her academic work has been acknowledged through many national and international awards, grants and prizes related to her design research undertakings. 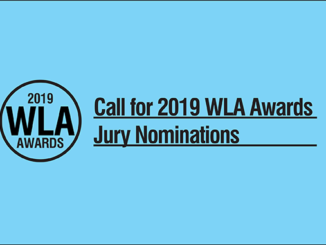 WLA thanks the jury for volunteering their time and expertise to judge this years WLA Awards.